Document, Monitor, Collaborate offers an introduction to domestic violence risk assessment, risk management and safety planning for professionals in social work and social services, education, health, and union settings. 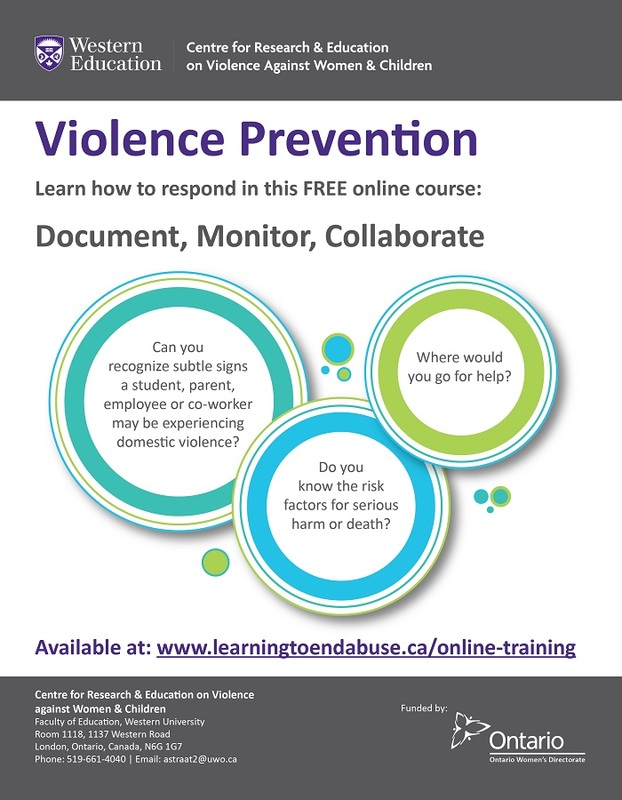 This one hour course focuses on identifying warning signs and risk factors for domestic violence, having a conversation with a person you may be concerned about, and learning about when to reach out to other resources for collaboration and support. A certificate will be provided upon completion. Click here to view the flyer in plain text PDF.